Enhanced venting solutions for an improved patient experience. 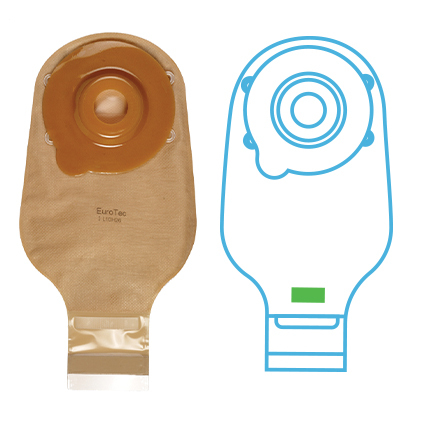 Porex designs and develops high-quality customized solutions for ostomy and urology care device manufacturers, including hydrophobic vents and filters for urine collection products and ostomy bags. As a leader in innovative solutions to solve medical device design challenges related to wicking, venting, and filtering, Porex helps our customers address their patient’s needs with the dignity, comfort and hygiene they require – thereby keeping their brand ahead of the competition with unique ownable solutions. Control leakages, gases and water penetration–Hydrophobic and design-optimized vents help control leakage, gases and water penetration in ostomy bags and urine collection products. POREX® Virtek™ PTFE ostomy bag vents are hydrophobic and design-optimized with high water entry pressure and airflow. The continuous venting material enables stoma product manufacturers to design for improved patient lifestyles. Control leakages, gases and water penetration–Hydrophobic and design-optimized ostomy bag vents help control leakage and ballooning, allow gases to escape and prevent water penetration during bathing or swimming activities. Improve patient lifestyle – The continuous venting POREX® ostomy material helps stoma product manufacturers design patient-friendly ostomy products. 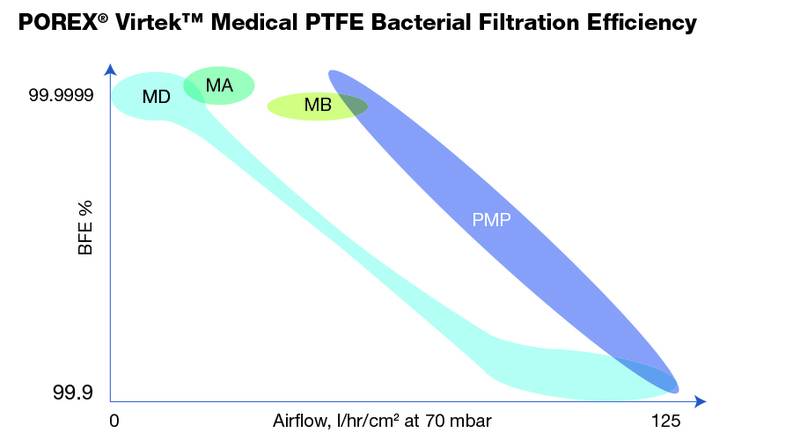 2 The Bacterial Filtration Efficiency (BFE) data is based on a modified version of ASTM F2101. POREX® Virtek™ Medical PTFE materials exceeded the standard BFE value of 98%. 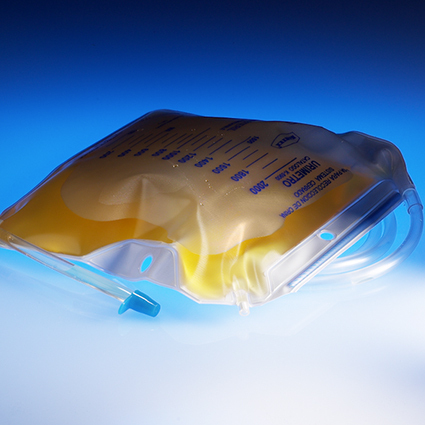 Prevent fluid leakage in urine collection systems with POREX® Virtek™ PTFE urine bag vents. These vents allow pressure equalization as the bag fills during use.